I used to wear silver exclusively along with a primarily black wardrobe. That all changed when I discovered that I look much better in gold and browns. Now I work a lot with golds, brass and copper. 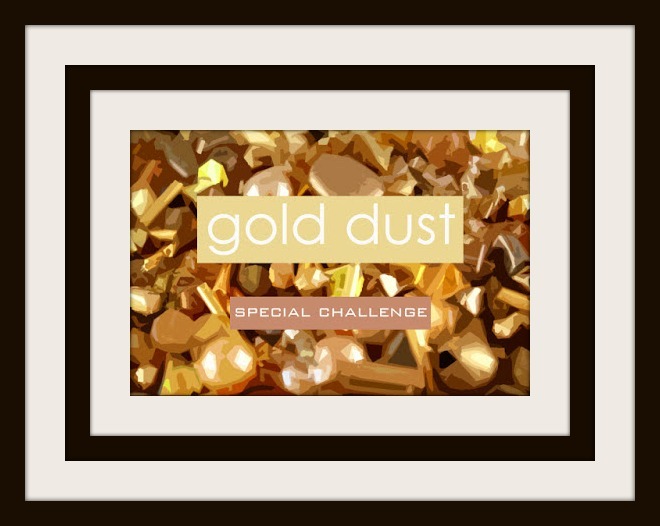 So how could I resist this special challenge that Andrew Thornton put out based around gold. Just look at all the treasures that he put together for this challenge. 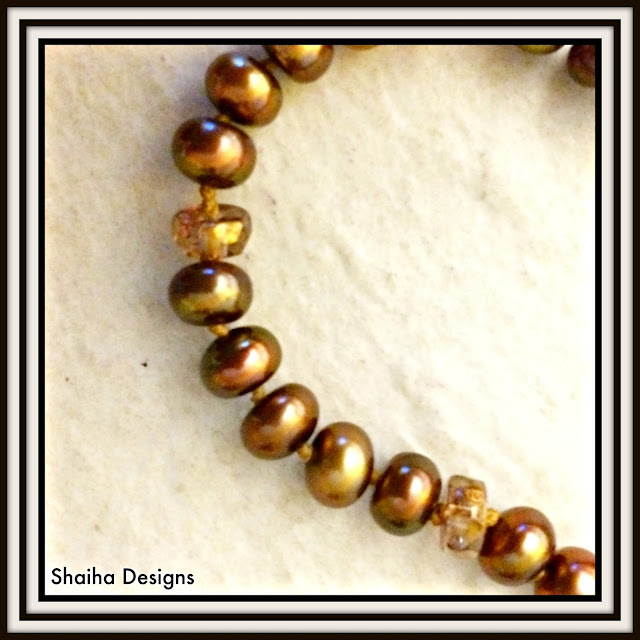 I was immediately drawn to the drop there in the upper right hand corner as well as the lavender gold vintage czech glass in kit. I haven't knotted up any pearls in a long while but those Czech glass wheels just felt like they would be at home in such a ladylike necklace. So I decided to listen and this necklace was born. I also used the dainty gold clasp that Andrew sent as part of the kit. Next up is a necklace that features that golden Lucite drop as well as the gold Czech glass crystals. 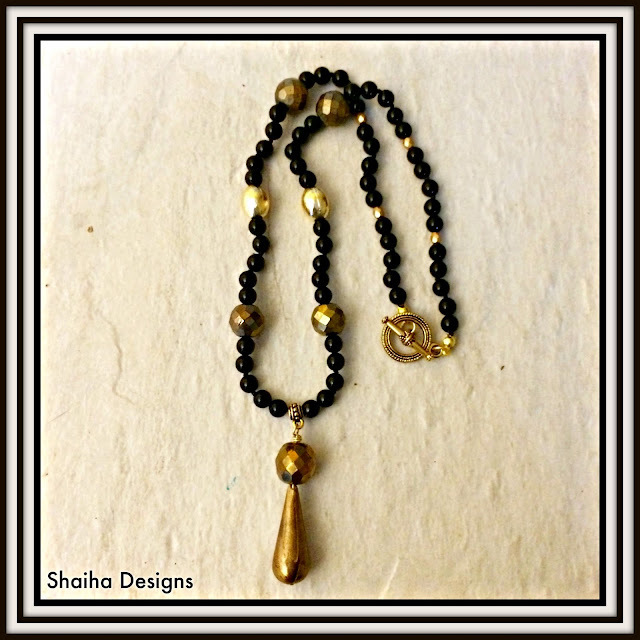 I haven't totally gotten away from wearing black so I decided to highlight all the richness with onyx beads. Now there are thirty other designers that were able to work with this wonderful kit so be sure to stop by Andrew Thornton's blog, The Writing and Art of Andrew Thornton, to see what they have designed. It is always a delight to see where everyone ends up when we all start at the same place. 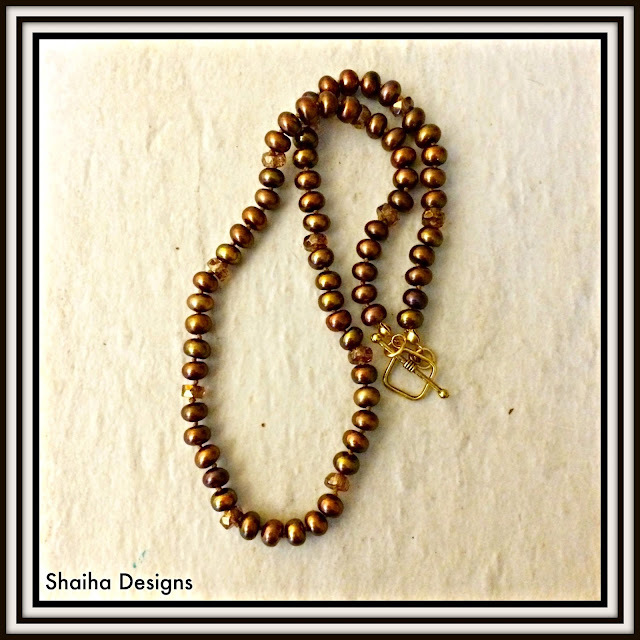 Gorgeous necklaces, Shaiha. The pearl one is so classic and beautiful. I loved that golden drop too!! 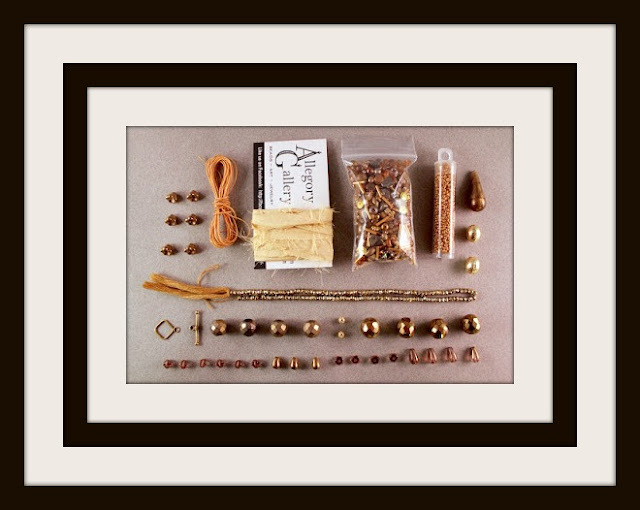 Would you believe I have brown pearls on my bead board ready to put together in a very traditional way.